Learn the art of knitting with veteran crafter, Wendy Sherman at the Deep River Public Library on Saturday, March 25, at 1 p.m.
Knitting is a terrific way to create useful objects, relax and meet other makers. This class will go over all the fundamentals of knitting, including how to cast-on, bind-off, and the basic knit and purl stitches. The program will cover choosing patterns, needles and yarn, as well as discuss useful online resources. Registration is required for this program and limited to 10 participants. All ages welcome. 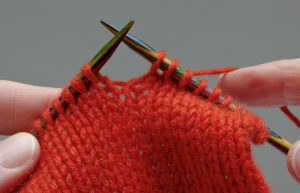 If possible, please bring your own needles, size 6 to 9 and a skein of smooth worsted weight yarn, wool or wool blend. Some supplies will be available for purchase.